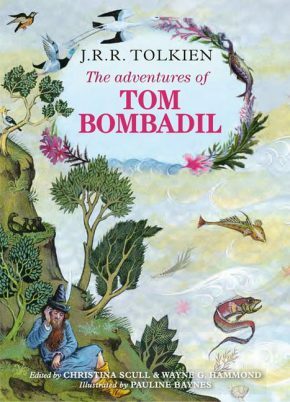 Today is The Tolkien Society’s international Tolkien Reading Day! The theme this year is Tolkien and the mysterious. Share a video, or let us know what you’re reading in the comments below or by using #TolkienReadingDay on Twitter. Tolkien Reading Day is held on the 25th of March each year. The date of the 25th of March was chosen as the date on which the Ring was destroyed, completing Frodo’s quest and vanquishing Sauron. 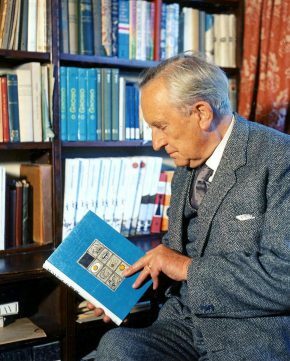 It has been organised by the Tolkien Society since 2003 to encourage fans to celebrate and promote the life and works of J.R.R. Tolkien by reading favourite passages. We particularly encourage schools, museums and libraries to host their own Tolkien Reading Day events. To celebrate this year’s Tolkien Reading Day, the Society is hosting an event at the Exeter Phoenix with storytelling and a talk from Professor Nick Groom. The theme for this year’s Tolkien Reading Day is Tolkien and the mysterious. You can, of course, read any works by Tolkien – fiction or non-fiction – that you personally enjoy. Share you stories and photos either below, on our Facebook page, or by following us on Twitter and using the hashtag #TolkienReadingDay. But, most of all, we’d love to see videos of you reading! You can also view a selection of scholars reading Tolkien’s works, which we produced for our Tolkien Reading Day four years ago, on the theme of friendship. Whatever you’re doing, take the opportunity to enjoy Tolkien’s works.